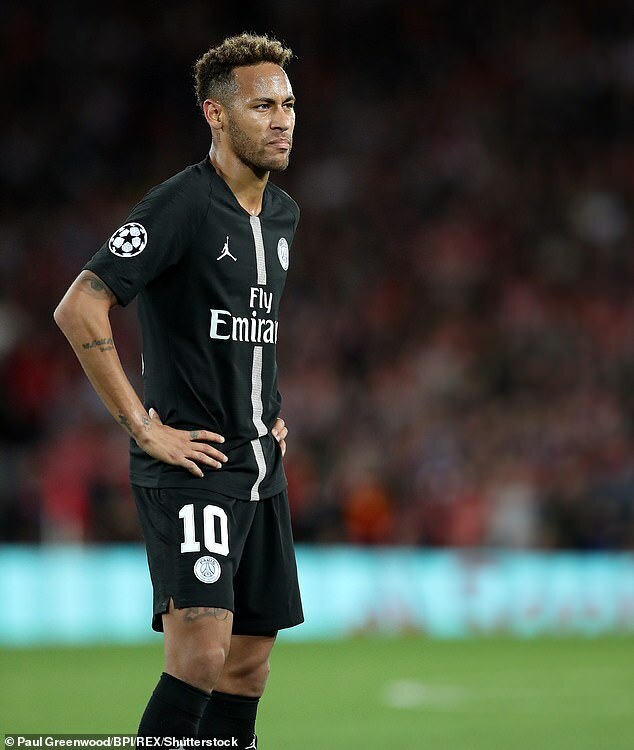 Joey Barton has claimed Neymar is the ‘Kim Kardashian’ of the footballing world and insisted the Paris Saint-Germain star is not in the same league as Lionel Messi and Cristiano Ronaldo. The Fleetwood manager took aim the Brazilian, insisting his marketing value was far superior to his footballing ability. He cited Neymar’s World Cup displays in Russia as an example that he remains far off the lofty standards set by Messi and Ronaldo and claimed there are a number of players outperforming him. I think he is the Kim Kardashian of football,’ Barton said in an interview with French outlet L’Equipe. ‘Neymar is not the best player in the world, we saw that again in Russia. He is not at the level of Ronaldo and Messi, and there are many other players in front of him. Barton also admitted he would jump at the chance to manage Marseille, the club he spent a season on loan with, and backed himself to succeed in Ligue 1. He added: ‘I would love to coach Marseille one day. Honestly, I could train Marseille without any problem. ‘I know the club from top to bottom. I understand the people, the culture, I know the Velodrome and I know what the club means to people.